It will come in January 2017. 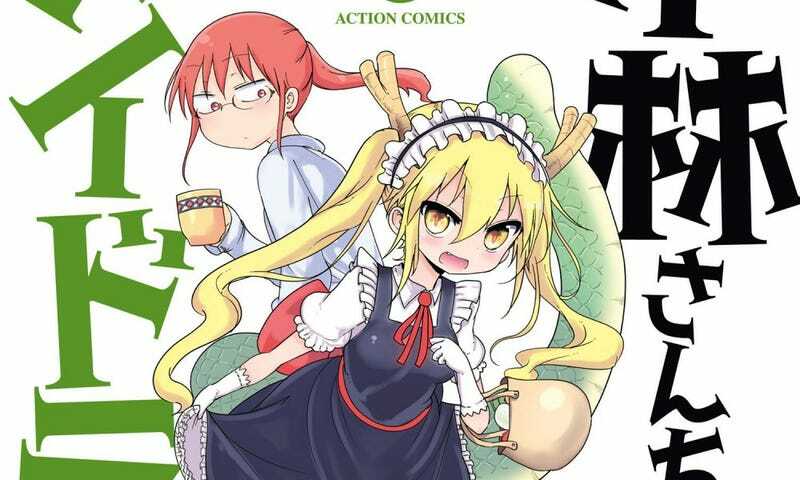 In the pages of the newest number of Futabasha´s Monthly Action Magazine it has been announced that an Anime based on the Dragon Maid Anime is in the works and will come in the Winter 2017 Season. Yasuhiro Takemoto (Lucky Star, Amagi Brilliant Park) is directing it at Kyoto Animation; Yuka Yamada (Samurai Warriors) is in charge of the scripts.